Customized OEM agreement reached with a North American manufacturer to expand the tractor line-up. Kubota Corporation (Headquarters: Naniwa-ku, Osaka, Japan; President and Representative Director: Masatoshi Kimata; hereinafter referred to as “Kubota”) announced today its decision to utilize the development and production of capabilities of Buhler Industries Inc. (Headquarters: Winnipeg, Manitoba, Canada; President: Marat Nogerov; hereinafter referred to as “Buhler”) for a new series of tractors. Buhler has a proven track record for designing, manufacturing, and distributing large tractors in North America. Kubota has chosen to take this direction with a view toward improving development lead time and optimizing product specifications to meet local requirements. This new arrangement enables Kubota to add tractors in a horsepower range greater than that of the currently largest 170-horsepower line to accelerate its large tractor business in the North American market. These new large tractors have been customized exclusively for Kubota through the company’s engineering expertise for ease of operation and functional design. 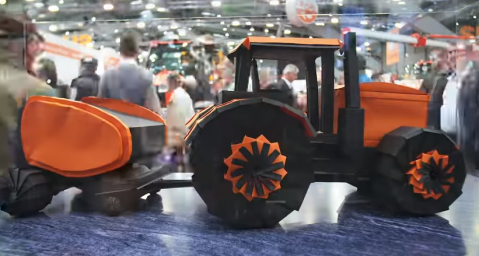 The tractors will be launched in the United States and Canada in the second half of 2019 as Kubota continues its strategy to penetrate the North America large tractor market. Company name: Buhler Industries Inc.
Kubota Corporation has been a leading manufacturer of agricultural, turf, hay and construction equipment and Industrial Engines since 1890. 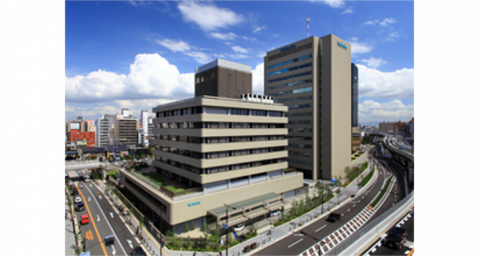 With world Headquarters in Osaka Japan, and offices in more than 110 countries throughout North America, Europe and Asia, Kubota achieved revenues in 2018 of $ 17 Billion. Although, agricultural equipment is Kubota’s primary line of products, Kubota also produces a diverse portfolio of other products including city wide water filtration systems, irrigation, piping, roofing, housing and large underground valves. Our mission, “For Earth, For Life,” speaks of our commitment to the preservation of the earth’s natural environment while aiding the production of food and water supplies that are vital to societal needs as our world population continues to grow. That mission is realized each time a Kubota tractor harvests the land to produce life sustaining food or our construction equipment excavates to transport water resources or provide shelter. For more information on Kubota, please visit www.kubota-global.net or www.kubota-eu.com. Discover Kubota Farm Solutions at AGRITECHNICA 2017! The Kubota Farm Solutions in video !